The Clarke County Ruritan Club reserves to its Livestock Committee the final and absolute right to interpret these rules and regulations, and settle and determine all questions, matters and differences in regard thereto. The Livestock Committee also reserves the right to change and amend the regulations should the management deem such changes necessary. Every reasonable effort will be made by the management to protect the property on exhibit, but in no case will with Fair management be held responsible should loss or damage of property or injury to person occur. All property of every character, whether entered for exhibition, displayed for sale, or for any other purpose will be taken on the grounds or in the buildings and kept entirely at the risk of the owner, who assumes responsibility for any loss, damage, theft, injury or accident that may occur while such property is on the grounds or in the buildings. Persons, firms, corporations, unwilling to enter their property for exhibit or display on these conditions are requested not to enter it in the Clarke County Fair. All 4-H and FFA exhibits shall be part of a bonafide project or enterprise. All livestock entries including market and open must be in place no later than 12 pm on Fair Sunday. Homemaking. Fine Arts and Photography exhibits will be accepted from 3:00 p.m. to 7:00 p.m. on Sunday and 11:00 a.m. to 7:00 p.m. on Monday. Crops and horticulture exhibits will be accepted on Monday from 1:00 p.m. until 9:00 p.m. and on Tuesday from 9:00 a.m. until 12:00 noon. Floral exhibits will be accepted on Tuesday from 9:00 a.m. until 12:00 noon and from 5:00 p.m. until 8:00 p.m.
All livestock entered in any show must comply with the Fair’s Animal Health Regulations. Any pre-show administering of any non FDA approved compound that may cause a quantitative or qualitative change in the characteristics of the animal on foot or in carcass will cause disqualification, and no premium money will be paid to the exhibitor. In the Livestock Sale, all sale money will be withheld from the exhibitor if after slaughter, the animal is found to have been tampered with or altered, or if the carcass is condemned. The Livestock Committee also has the right to disqualify any animals if the appearance or temperament has been changed or altered by any process. This includes attempts to dye, discolor the natural hair color, use of tranquilizers, and the use of ice or cold towels. 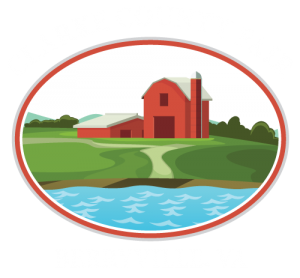 In addition to the above penalties, any exhibitor caught in violation of such rules will be banned from showing and selling any livestock in project area at the current Clarke County Fair and will not be allowed to show or sell a livestock at the following Clarke County Fair. If a youth is determined to be in violation of any Fair rules; the youth can be banned from showing or selling any livestock project at the current fair. If appropriate, the can be banned from showing and selling livestock one additional year. The youth also may be subject to discipline from the FFA and/or 4-H programs if they deem it appropriate. Chickens and turkeys will be accepted between the hours of 1:00 p.m. and 5:00 p.m. Sunday (this being the only time they can be tested for pullorum typhoid). All other poultry department entries will be accepted until cages are full or 5:00 p.m. Sunday, whichever comes first. Rabbits will be accepted on Sunday between 1:00 p.m. and 5:00 p.m.
All 4-H’ers and FFA’ers planning to exhibit livestock at the Clarke County Fair must turn in an updated project record book to the Extension Office or their FFA instructor no later than the last Friday of June. All Steer projects must show ownership dates of December 2nd, 2018 or before; all Lamb, Goat, and Swine projects must show ownership dates of June 2, 2019 or before; and all Rabbit and Poultry projects must show show ownership dates matching the rules for their project type. All market projects must be weighed in at their official species weigh in or identified at a fair check in. All 4-H and FFA members must participate in at least one organized set up and clean out at the Fair. Please see your 4-H/FFA Exhibitor rules to ensure you meet their requirements; your 4-H and FFA advisors will work with you on scheduling if needed. All exhibitors must dress correctly while showing their projects at the Fair. Your 4-H Leader or FFA Advisor can help you with this if needed. Clean clothing, with no holes or writing, must be worn. All shirts should be tucked in and have a collar. Leather boots or shoes are highly recommended and no hats or chewing gum are ever allowed in the show ring. No clothing with inappropriate language or gestures is allowed in the livestock area. No exhibitor or volunteer should be in possession of guns, drugs, or alcohol while participating in the livestock area. The Livestock Committee may ask for proof of record book completion; failure to comply may result in disqualification from the current year’s fair. Unless being moved to another fair, livestock exhibitors need to refer to their departmental rules about the removal of livestock. All 4-H and FFA exhibitors may be no more than 18 years of age on December 31st of the year before the show. All livestock donated back for resale will be for the benefit of charitable organizations only. They will be sold at the Farmers Livestock Sale, a designated market, or to the other buyers designated by the Sale Committee and the proceeds will be forwarded accordingly. Any animal deemed not broken or unruly to the point of being a safety risk will be disqualified from the show and/or sale by a decision of the Livestock Committee or Sale Committee and will be removed from the fairgrounds. Transportation will be provided on Sunday or Monday for those animals which buyers wish to have taken to the livestock market. The deputies are responsible for patrolling the back field. Ruritan members and the deputies are responsible for the show participants in the Livestock Area of the Fairgrounds. The 4-H and FFA chaperones are responsible for the 4-H and FFA exhibitors who stay inside the barn area after the carnival shuts down each evening. The Clarke County Fair is open to our adjoining counties: Loudoun, Fauquier, Warren and Frederick in Virginia and Jefferson in West Virginia. For specific exhibit and participation requirements, please see the rules and regulation for the individual department or contest/event. Any livestock entries from a surrounding county must be approved by the Livestock Committee. Any 4-H or FFA exhibitor showing an animal which is not housed on an immediate family member’s property; must have written permission from Livestock Committee to show at the current year’s fair. 4-H and FFA livestock exhibits must be fitted by the youth showing them, their immediate family (mother, father, brother, sister), guardian, or a fellow 4-H or FFA member who is currently showing in the current Clarke County Fair. Committee members are allowed to help if needed. A code of conduct form must be signed by anyone helping. All matters not covered by these rules and regulations will be passed on and settled by the Livestock Committee and/or Departmental Committees. Any adult who assists with any livestock pre-show administering of any non FDA compound that may cause a qualitative or quantitative change in the characteristics of the animal on foot or in carcass will be banned immediately and indefinitely from the Clarke County Fair fairgrounds. 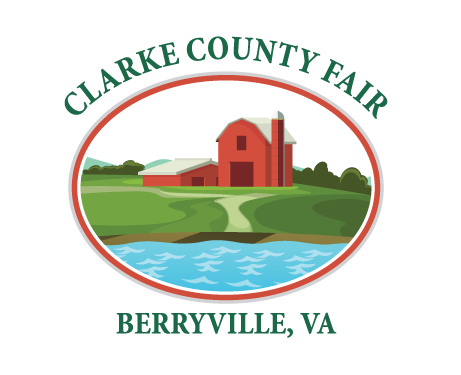 The management of the Clarke County Fair and its sponsoring organization reserves the right to bar/ban youth and adult exhibitors and non-exhibitors from participation in the events and activities associated with the current Clarke County Fair and any subsequent Clarke County Fairs if the youth or adults are found in violation of established fair rules and regulations or the Livestock area’s code of conduct. No pets allowed on the fairgrounds. Only pets for competition or parades are allowed and should be removed to their housing after competition is completed. Excludes Seeing Eye dogs, etc. No generators allowed in or around the barn areas. All livestock exhibitors are required to attend the Livestock Exhibitors meeting on Sunday. All youth exhibitors must be present at the show and sale of their animal. To be eligible to sell their animal at the Livestock Sale and receive premium money exhibitors must participate in the Showmanship Division for that animal. If there are unusual circumstances and the youth is unavailable the Livestock Committee must be notified ahead of time or as soon as possible. A code of conduct must have been signed by the Livestock exhibitor before bringing any animal to the fair. Any person helping an exhibitor with their animal during fair week and any parent must sign a current code of conduct and have it approved by the Livestock Committee. This is mandatory. Forms will be available online; at the June weigh in; and Sunday morning of the Fair. Unless a parking permit is issued, no one is to park within the gated fairground area around the barns. Exhibitors will be expected to keep their animals fed and with clean water in their pens at all times and keep the animals, pens, and surrounding area clean throughout the entire week. Pens must be cleaned daily, and pen areas must be presentable to the public by 10:00 a.m. and again by 5:00 p.m. each day. After two warnings; premium money will be withheld and after 3 warnings the exhibitor will be asked to remove the animals from the fair if decided by the Livestock Committee. There is to be no coaching from the sidelines for any exhibitor while a livestock show of any species is going on. This practice is distracting to exhibitors in the show ring and unsportsmanlike. One warning will be given to the “coach”; if a second one is necessary the “coach” will be asked to leave the show area. The 4-H/FFA project Grand Champion and Reserve Grand Champion from each species must sell in the Livestock Sale on Saturday. The Livestock Committee and their designees reserve the right to visit any project animal between the June weigh in and the Fair weigh in. Notification will be given beforehand.